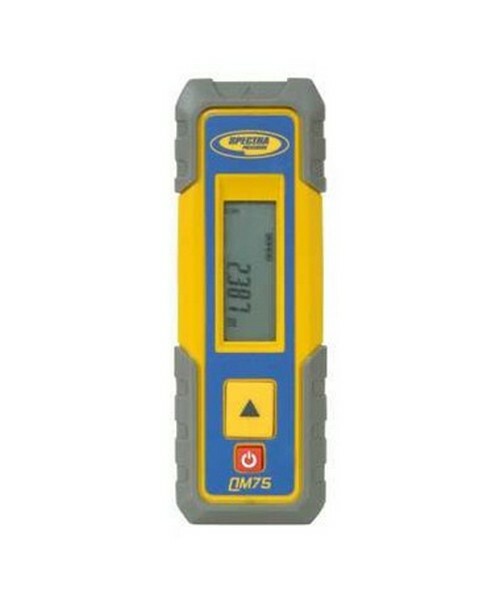 The Spectra QM75 Laser Distance Meter is an easy to use handheld laser measuring tool that allows construction professionals to take measurements in hard to reach places up to 230 feet away. Compact and rugged, the QM75 is capable of taking highly-accurate single and continuous measurements that are difficult to accomplish with just a tape measure, making it suitable for both indoor and outdoor jobs. 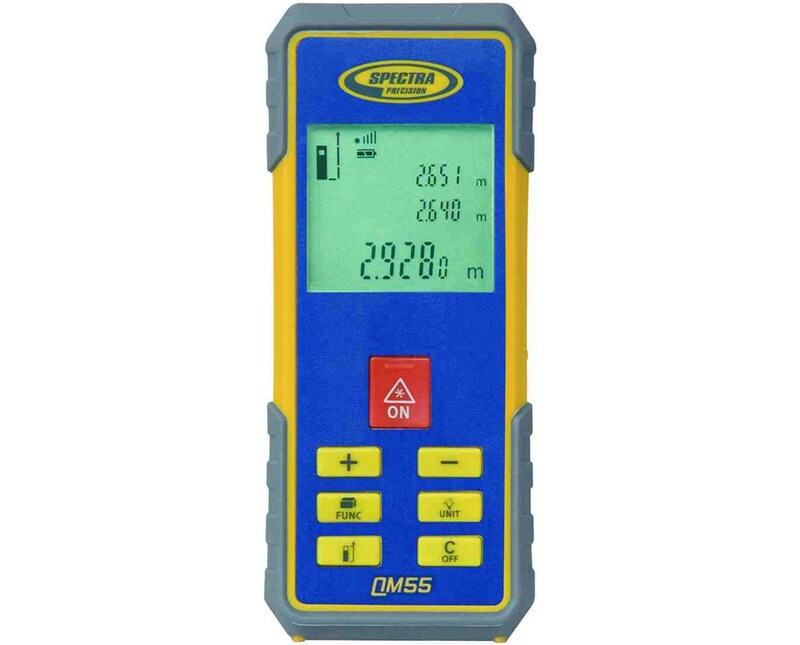 The Spectra Precision QM75 features accurate results within ±1/16 inch that is shown on an illuminated LCD display with four segments, providing easy reading in low light conditions. And with just a press of a button, its powerful laser beam quickly takes measurements in meters, millimeters, feet, inches or yards. Made of durable plastic and rubber over-mold, the Spectra QM75 is one of the most robust laser measuring tools on the market. 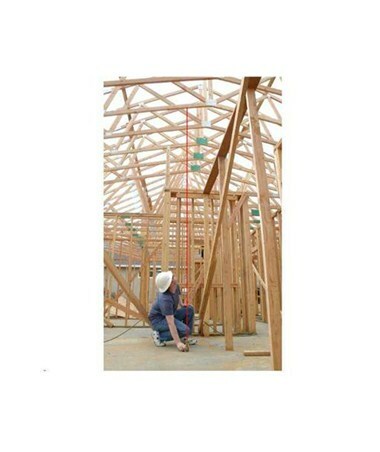 In addition, the device that can withstand drops from up to five feet high! With an IP55 rating, the QM75 is sealed against dust and water jets, so you can simply wash it off if it gets dirty. Featuring a battery life that lasts up to 8,000 measurements and a battery status indicator, this device enables you to get the job done wherever you go. It also easily fits in your pocket and automatically shuts off to save on power. 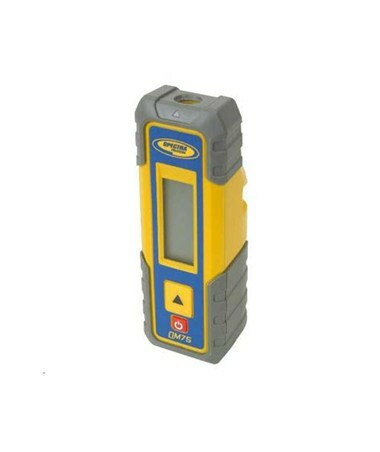 This Spectra laser distance meter comes with a 3-year manufacturer’s warranty.